President Edgar Lungu is scheduled to travel to Addis Ababa, Ethiopia to attend the African Union, 32nd Ordinary Session of the Heads of State and Government Summit. Minister of Foreign Affairs, Hon Joseph Malanji announced that President Lungu will arrive in Addis Ababa on Saturday 9th February 2019. Mr. Malanji also announced during his stay in Addis Ababa, President Lungu was scheduled to hold various bilateral meetings with the United Nations Secretary General, Antonio Guterres, the AU Chairperson of the Commission, Mr. Moussa Faki and other regional Heads of State. Hon. Malanji also said this year’s Summit was extremely important as it was expected to adopt key transformative legal and structural reforms of the African Union. He said President Lungu was expected to return to Lusaka on Sunday 10th Febraury 2019. Hon. Malanji was speaking in Addis Ababa on the sidelines of the AU 34th Executive Council. And the 34th Extraordinary Ordinary Session of the Executive Council of the African Union has officially opened with a call on Member States to ratify the Continental Free Trade Area Agreement CFTA. 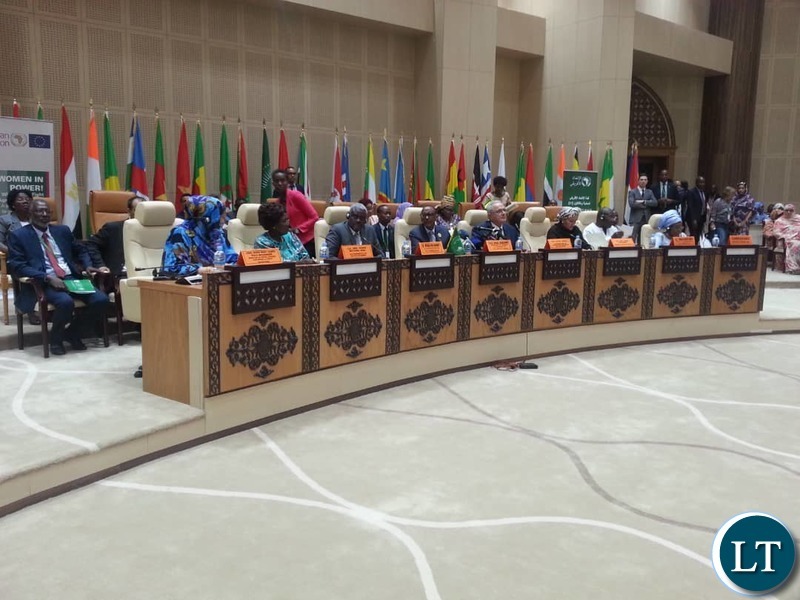 African Union Commission Chairperson Mousa Faki Mahamat who officially opened the session said Africa cannot boast of integration in the absence of the CFTA. It will be interesting to see whom he will leave Instruments of power and wife with, since Ba Inonge is sick. But please don’t risk with that thug Davies something again. Why is it that black people see every solution as a test of strength.Like an elephant thinks that his size could get him any thing.Blacks have not evolved to use their brain to solve problems.Peter Carlos Hinds. About the photograph which is not saying any thing.”The higher they are the harder they fall”.Talk about Humpty Dumpty.Peter Carlos Hinds. Please Mr President sign the CFTA during this summit.